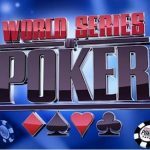 The world series of poker reveals the names of top 10 players which are going to be included in Poker Hall of Fame for the year 2015. The decision has been taken after a complete and thorough study by PHOF governing council. 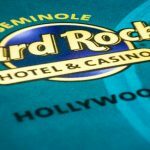 The Poker Hall of Fame was established back in the year 1979. The list includes top poker players of the world who has influenced the game and made great contributions to the game. Till date there are twenty three living (23) members has been awarded this prestigious award of poker Hall of fame by the world series of poker with 48 other members awarded. Chris Bjorin: – Chris is one of the most talented poker players in the world. The 67 years old and Swedish born player has won many tournaments and cash prize of more than $5.5 Million. Chris has won two WSOP gold bracelets and many other poker tournaments in the world. David Chiu: – David is a pro poker player from china but moved to the United States when he was just 18. The man is about 55 years of age and has won plenty of prestigious tournaments including five times gold bracelet at World Series of poker. He has been through many poker events in his career which includes 70 different WSOP events. He is a winner of World poker tour championship in the year 2008 when he defeated Gus Hansen. He got his place at poker hall of fame for the year 2015. Chiu has won more than $7.9 in his poker career life. 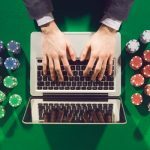 Bruno Fitoussi: – The 56 year’s old guy from France turned a professional poker player after checking lots of other things. Till date Bruno has won more than $2.7 million in his poker gambling career. One of the important moments for Mr. Fitoussi was that he comes second and was a runner up for the event $50,000 Poker player’s championship in the back year 2007 and grabbed a cash prize of $1,278,720. Jen Harman: – She was the first woman to crack the WSOP Gold bracelet for open events and been through 12 WSOP final tables. 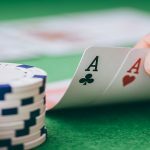 A player from Nevada and of 50 years of age, she has won more than $2.7 Million is her poker career while playing at different and various championships and platforms. John Juanda: – a professional poker player who born and brought up in Indonesia and currently lives in the United States of America is the next man/player got listed in the WSOP “Poker Hall of Fame” for the year 2015. A top poker player, who has already won more than $17 million of cash prize playing at various poker tournaments. He is a winner of European poker tour title of the 2015. Carlos Mortensen:- Carlos Mortensen is a champion of poker games. He is a winner of WSOP main event for the year 2001. Till date Earnings from various tournaments for Carlos including WPT is more than $6.8 million which is simply awesome. 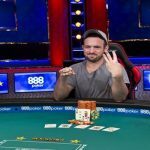 He has been listed for the WSOP poker hall of fame as well. The 43 years old poker player is from Spain and is a pro poker player. 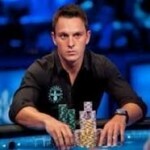 MASSIMILIANO PESCATORI:– The list of the poker fame includes Mr. MASSIMILIANO PESCATORI, a pro poker player from Italy. He is a notable poker player in the world and he won plenty of poker events. The total earning for PESCATORI is more than $4 million. He is 44 years of age and winner of 2002 WSOP gold bracelet as well. Terry Rogers: – Terry is one of the most influential poker players in the world these days. He is also known as the father of the poker in Ireland and is a very colorful character. Matt savage: – Savage 46 is a professional poker as well and played in many world level poker championships. And the last player who listed to the great Hope of fame of WSOP 2015 is David Ulliott.